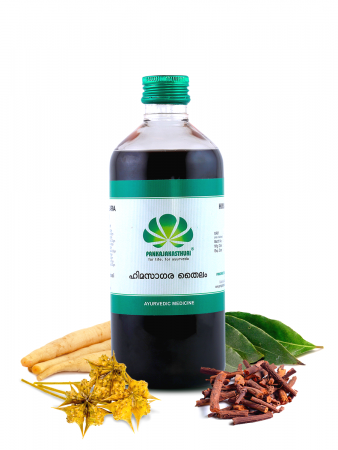 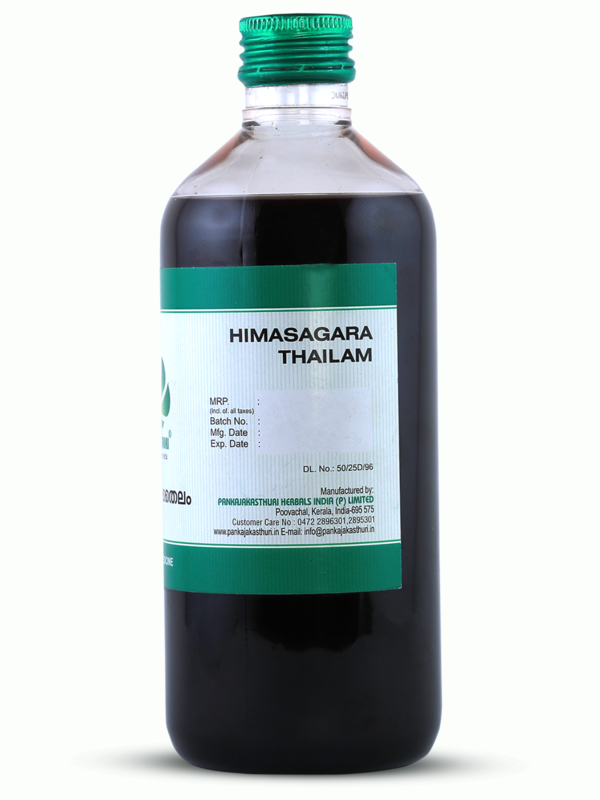 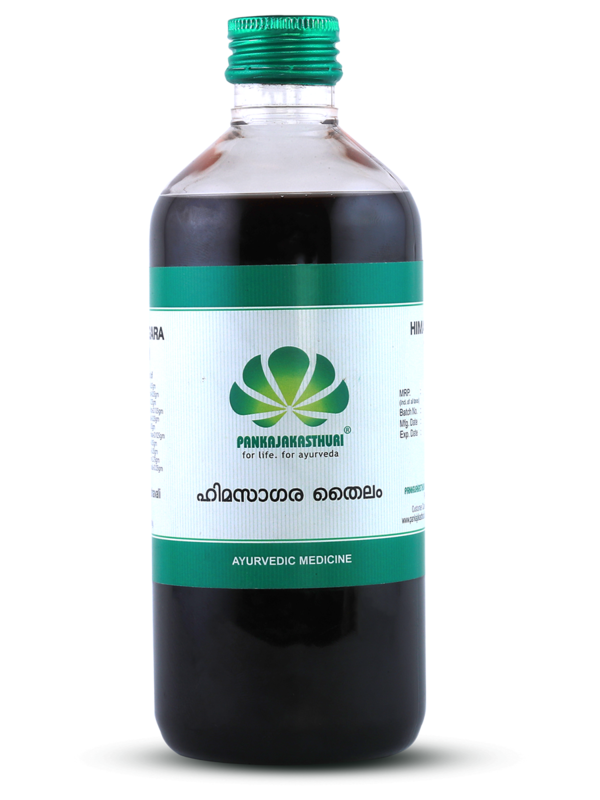 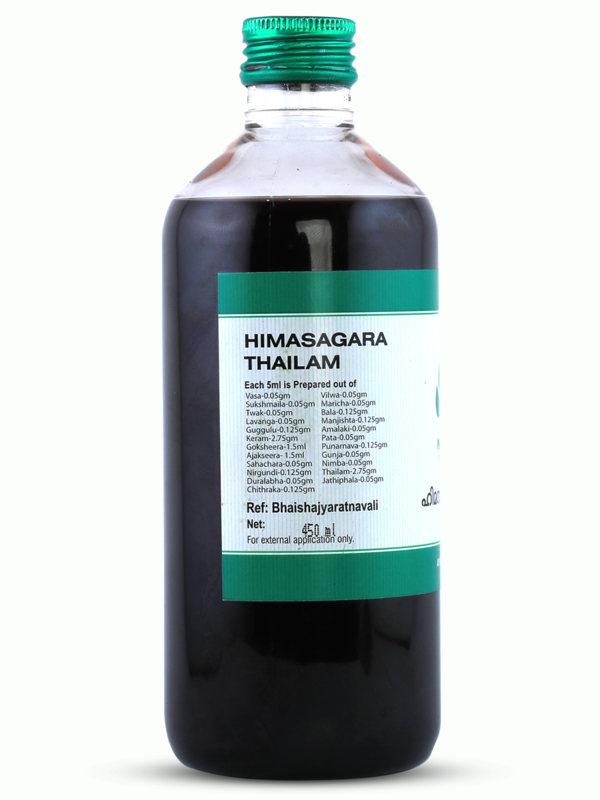 Himasagara Tailam (oil) is traditionally used to heal a number of health afflictions. 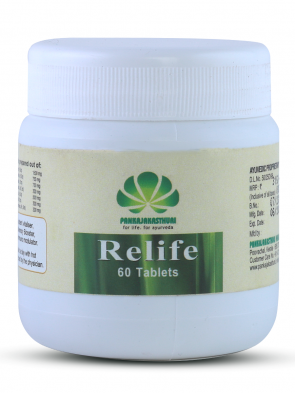 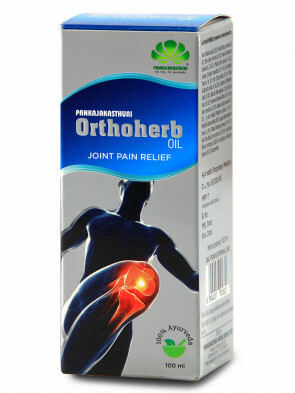 * This is primarily seen as an effective external application for Ortho-Neuro disorders and Rheumatoid diseases. * The nutraceutical herbs in the composition add anti-inflammatory, analgesic, anti-rheumatic, and anti-emaciation properties to the medicine. 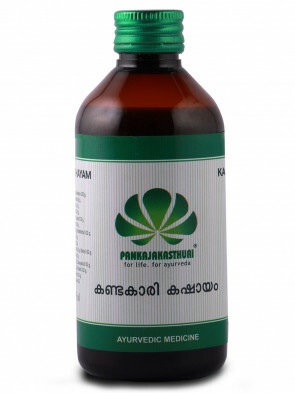 * It balances vata and pitta.